I didn't like high school. I skipped a lot of classes and when I did attend, I passed my days delivering a heavy dose of snark to a lot of poor teachers whom I sure only wanted to get to their next break. When I graduated, I slung my Doc Marten’s over my shoulder, and hit the road faster than you could say, “School’s out for ever” a la Alice Cooper. The irony in all of this is that I did not hate learning. I always had my nose in a book and my Walkman on (pre-internet days, my darlings). What I despised about high school was the structure and forced delivery of content. Simply put, there was nothing that would get my ripped jeans twisted more than saying you “must do this”. My eyes were opened when I became a high school teacher for a few years. It was then that I had empathy for all of the things that my teachers were forcing upon me. They had standardised tests, benchmarks, and learning objectives to achieve. I probably owe them a drink (or twelve). Although, I will say that teaching high school was the best job I ever had, hands down. I have blocked out the bank logos, although fellow Canucks might be able to identify the FI by colour palette (sorry). It is not my intent to name and shame anyone’s marketing department. I’m sure they did a lot of research and testing to come up with these ads. Still, messaging yields a visceral reaction and these caught my eye. Both signs convey the exact same message: envelopes are no longer required to make deposits at these bank machines. Whilst “Envelope-Free” implies a value-add; “Envelopes not accepted at this ATM” is reminiscent of the TSA announcements regarding liquid restrictions – no warm and fuzzies here. One is inviting, the other punitive. So what does all of this rambling about high school and bank machines mean? Well, nothing too earth-shattering other than, as usual, I believe that L&D needs to leave its precious ivory tower. In this case, it is time to use a design-centric approach to content that motivates, rather than dictates. Consider the reams of compliance-based training L&D is forced to produce. I think most of us know the dirty little secret that none of this content is about delivering learning. It is a CYA exercise to ensure your company does not get caught in litigation: “Your honour, the employee did the mandatory seventeen hours of ethics training and passed all eight quizzes so we cannot be held liable for their subsequent acts of money laundering”. Ta-dah! I doubt that L&D will ever get away from regulatory learning. It’s the birthplace of the horrid learning management systems and rapid authoring tools that we have now. 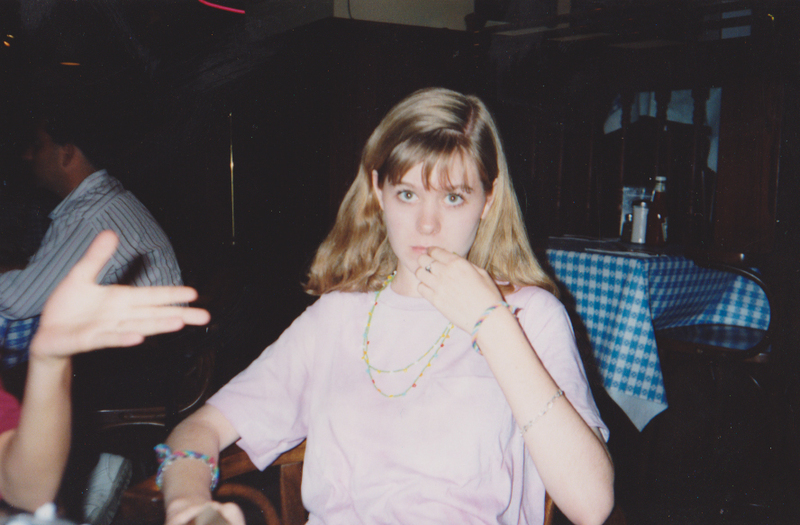 Still, I think back to my cynical teenaged self and I do not think she is too far off from today’s jaded learner. She simply has more black eyeliner. In the digital age, your audience clicks X or opens another browser window the first nanosecond they are not engaged. They are impatient and have high expectations. If we have to build it, at least consider methods to entice rather than order. At the very least, use the exercise to flex your instructional design muscles.